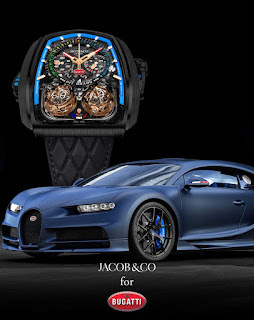 Jacob & Co. announced a long-term partnership with Bugatti car manufacturer to collaborate on a series of exclusive co-branded products. The partnership aims to push "the limits of what seems mechanically possible." One of those 'future projects' has arrived. 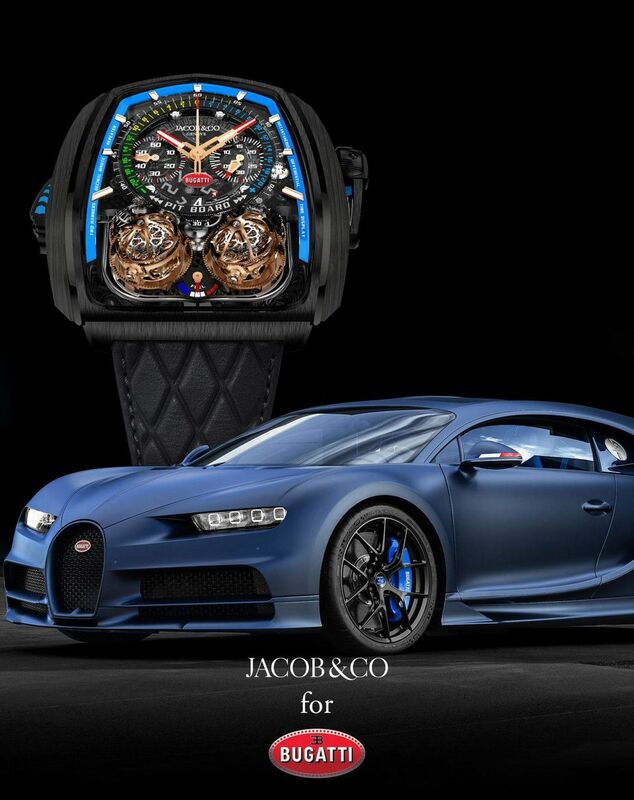 The new partnership between Jacob & Co. and Bugatti launches with two new timepieces. 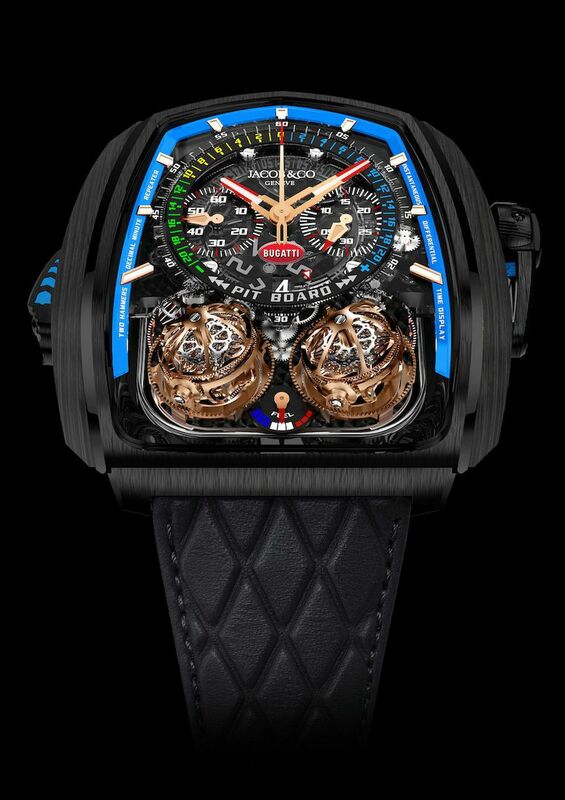 One of them is a limited edition of the Jacob & Co. Twin Turbo Furious: The Twin Turbo Furious Bugatti Edition. Design wise, the watch features a turquoise blue outer ring on dial in order to pay homage to Bugatti’s 110-year anniversary blue Chiron. It also features the Bugatti logo on the center of the dial between tech chronograph counters. 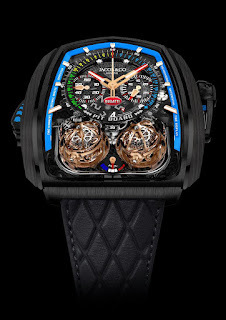 The second watch being unveiled in Baselworld is the Bugatti Chrono Edition Limitee 100 Ans. As its name suggests, the collection pays tribute to the founding of the brand by Ettore Bugatti 100 years ago in 1909. Just 110 pieces will be made to honor each year since that founding.